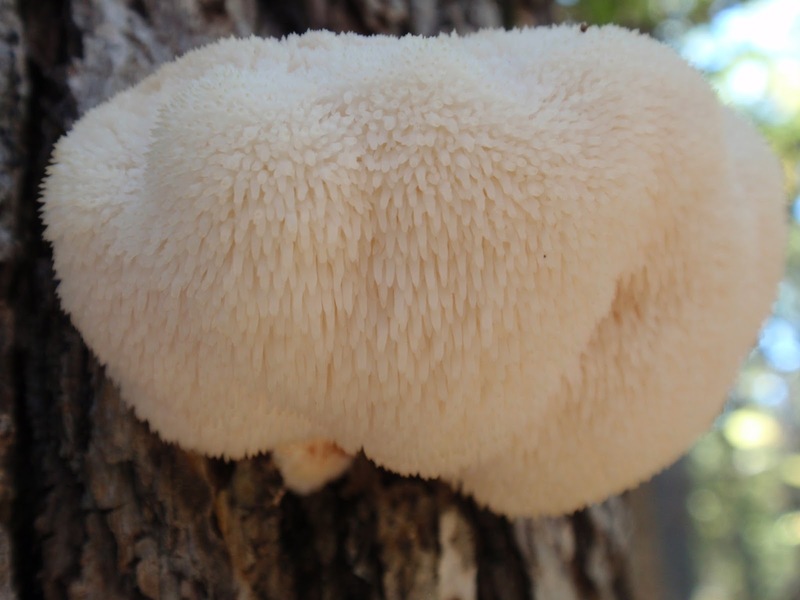 We found a lion’s mane (Hericium erinaceus) mushroom! Then we harvested it and eat it too! This is the first(but far from the last) mushroom that we found on the land that we have eaten, and only the second time for us to eat wild foraged mushrooms. We loved it, and have been keeping our eyes peeled for more. I did spot two more that we did not harvest because they were very small and high up on a dead tree that had big branches dangling over us. Glenn calls those dead trees “widow makers”, so it was not a wise move to harvest those mushrooms no matter how delicious they are. 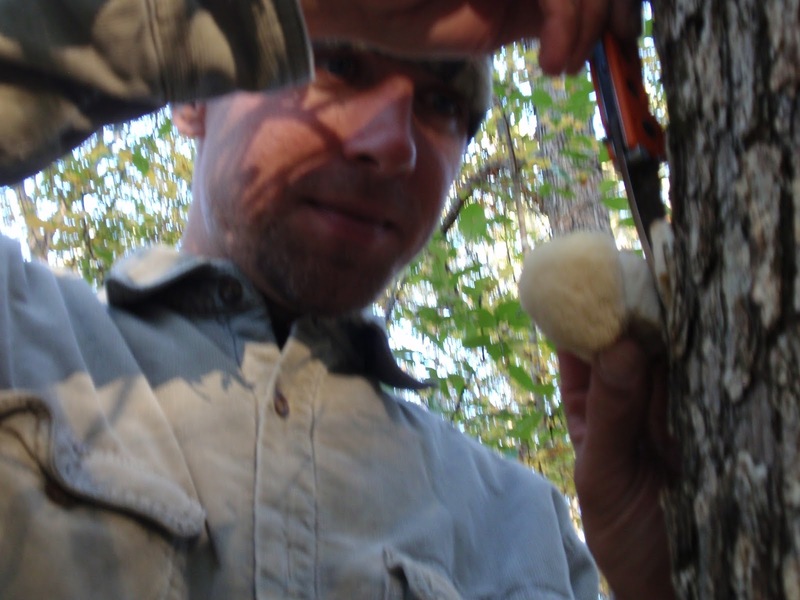 We found 2 more edible mushrooms that day, the blewit and the honey mushroom, but both of them have poisonous look-a-likes, so there is mush research to be done before we try those out.